After many long months of diligent work in the studio, Teem Productions today proudly announced Monday November 22nd as the release date of Yisroel Werdyger’s highly anticipated new album “Ashira Va’azamra”. In conjunction with that announcement, they have also released the cover of the album, designed by Sruly Meyer. 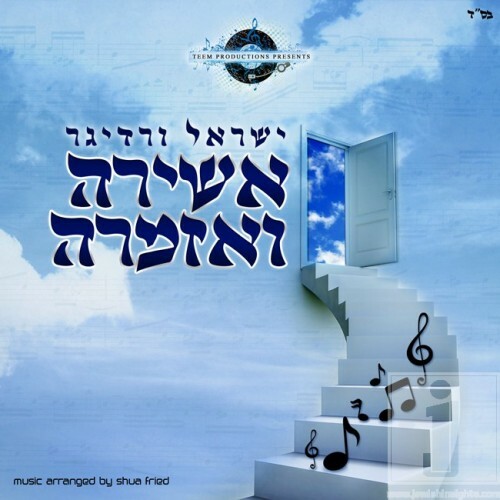 The album includes compositions by many well known composers such as Yossi Green, Yitzy Waldner, Pinky Weber, and Meshulam Greenberger, as well as the work of new talents. The album will be available in stores and online through Aderet Music in CD or Digital Download form.